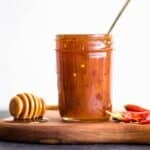 This delicious sweet chili sauce recipe is made with honey instead of sugar. It is great for dipping or for flavoring your stir fries. It takes only 6 ingredients and 10 minutes to make. You will definitely love it! One of my favorite dipping sauces is a Thai-style sweet chili sauce. 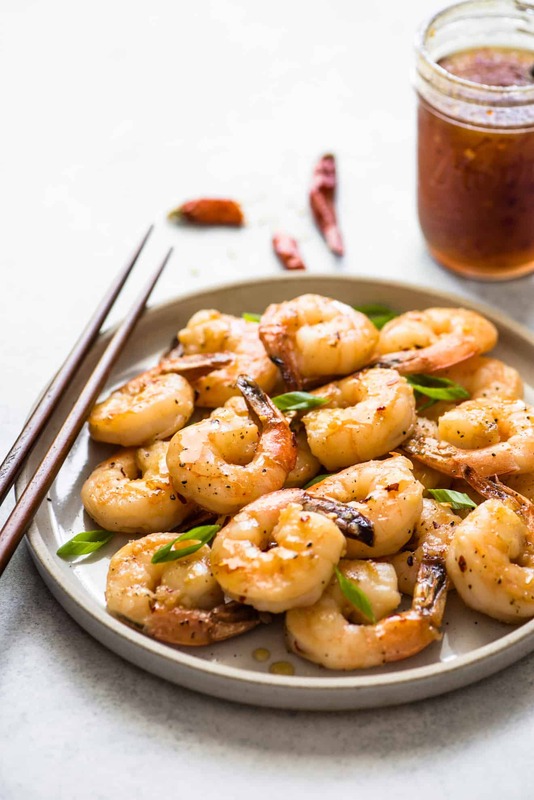 Its sweet and spicy flavors pair perfectly with fried spring rolls or any kind of fried or grilled appetizer. For years, I kept a bottles of store-bought versions in the fridge. But as my cooking abilities improved over time, I started to make my own version, which, in my humble opinion, tastes better and is less sweet. I developed this sweet chili sauce for one of my dumplings classes at the library. Everyone who tried it loved the sauce, so I thought I should share it on the blog, too! Besides dipping, the sweet chili sauce is good in stir fries or as a finishing sauce for baked salmon or meat. 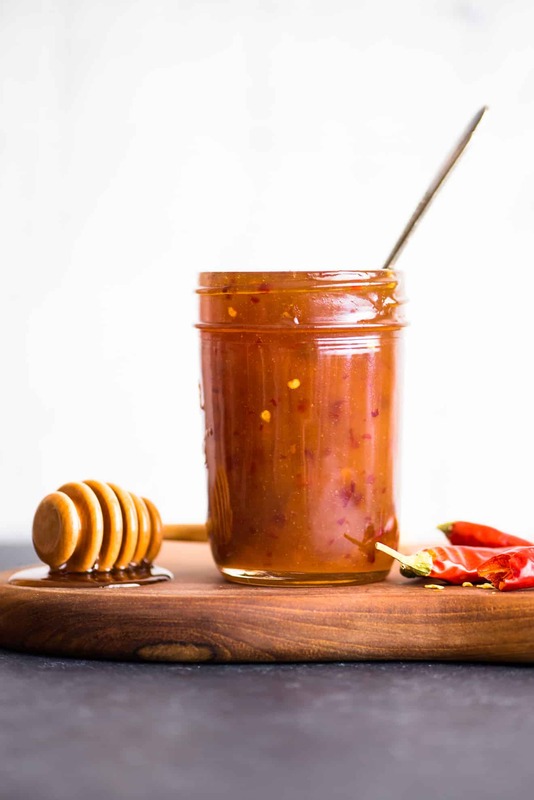 Once you make your own sweet chili sauce, you’ll never go back to the store for another bottle! 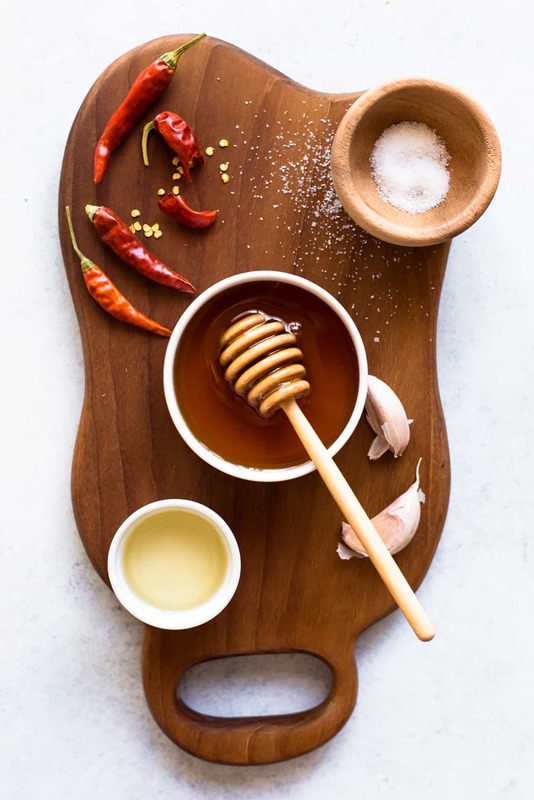 Use good honey: The quality of the honey affects the flavor of the sauce. Make sure to use the good stuff! Using other starches: In one of my test batches, I replaced the cornstarch with 2 teaspoons of tapioca starch and I found the consistency to be too viscous. If you want to use tapioca starch (or any other starch with this recipe), I would start with 1 teaspoon of it. Check to see if the thickness of the sauce is to your liking before adding any more starch. Using other sweeteners: If you want to try variations on the sauce, you can use maple syrup, agave or sugar instead of the honey. Personally, I prefer the sauce when it’s made with my local honey. Add all the ingredients to a medium saucepan. Stir everything until the cornstarch has dissolved. Bring the sauce to boil over medium heat. Reduce the heat to medium-low and simmer for 5 minutes. Let the sauce cool for 5 to 10 minutes before pouring it into a jar. Once the sauce reaches room temperature, seal the jar and place it in the refrigerator for up to 3 weeks. Hi Lisa. This looks like a must try! Could you clarify your lessons learned comment, please? Do you mean tapioca starch as a substitute for, not in addition to, the cornstarch, right? 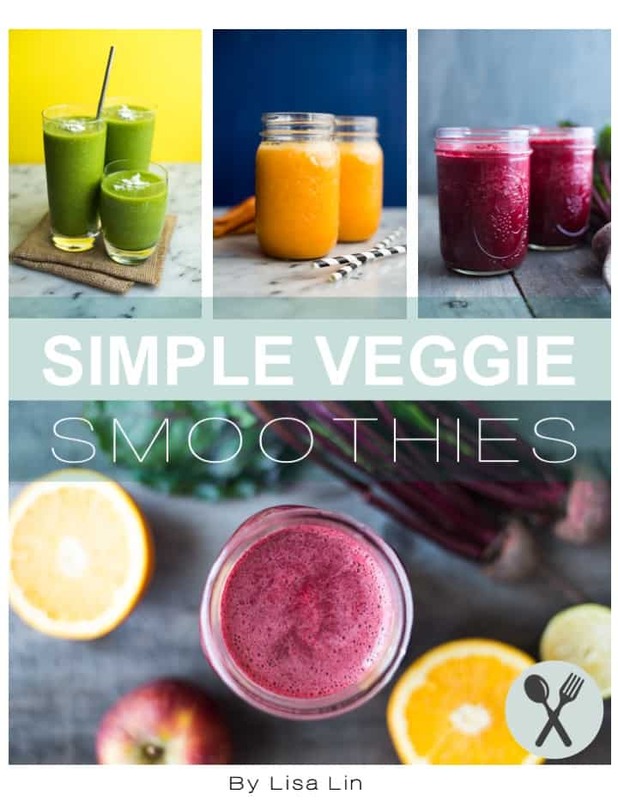 Looking for a way to make the recipe paleo. Thanks. Great question! You are correct, I meant using tapioca starch instead of cornstarch (not in addition to cornstarch). I will clarify that in my notes. Can you suggest any alternative/substitute for Rice Vinegar? Hi Annie, I’ve used white wine vinegar before, and I thought the sauce tasted fine. 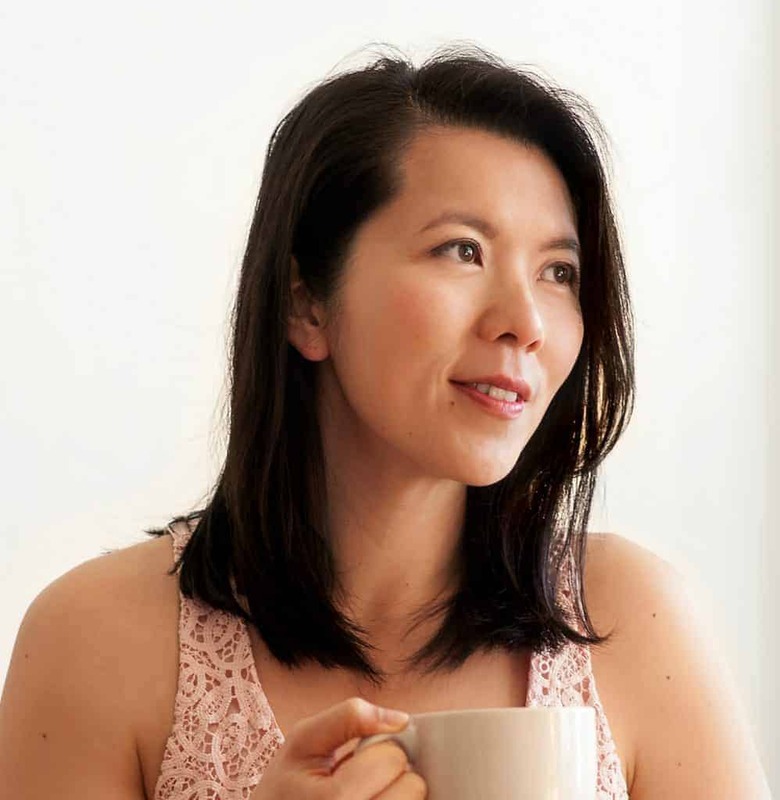 You could probably use apple cider vinegar as well, but ACV tends to be a bit more intense, so you might taste the vinegar flavor a little more. I hope this helps! My son requested sweet chili sauce and I found your recipe. Made this for chicken wings and it is delicious! Thank you!